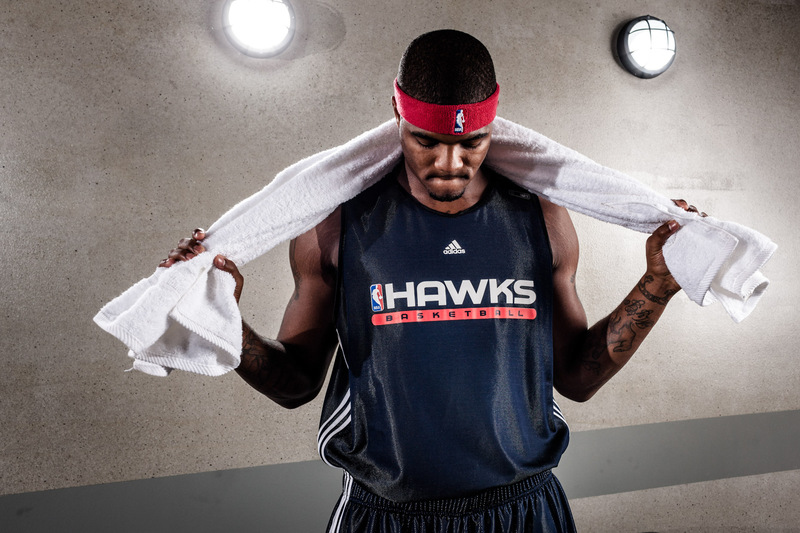 Legendary NBA star Josh Smith, photographed here when he played basketball with the Atlanta Hawks for adidas professional athlete sponsorship. adidas photographer Andy Batt was hired for the job because his gritty lighting, and badass ability to create dramatic sport portraits. This quiet moment is rare, Josh is high energy all day long. Shot in Culver City.